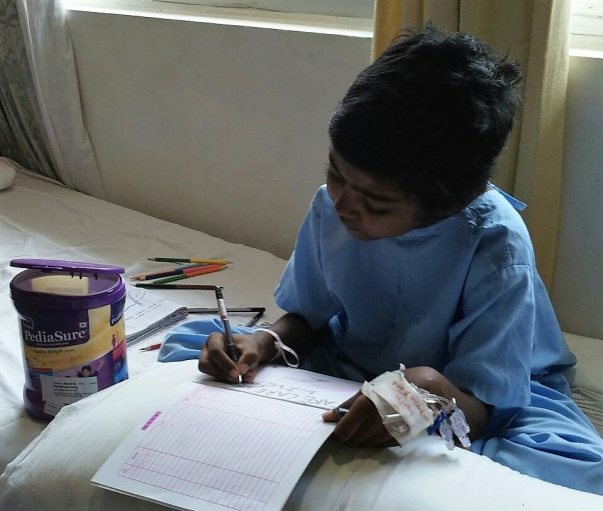 8 year old Sivarthana has been diagnosed with Acute Liver Failure. She needs an urgent liver transplant to live. Her father has come forward to donate a part of his liver. He is a daily wage laborer from Tamil Nadu. He has no means to afford this surgery. This is their story. Sivarthana is in 4th standard. She is way more intuitive than other children her age. While she should be terrified, crying and throwing tantrums from excruciating pain, this little girl is biting down and braving acute liver failure without a sound, to reduce her parents’ suffering. 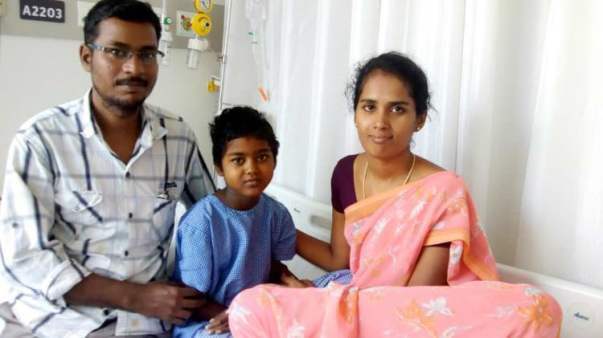 Now, in a critical stage, Srivarthana needs a transplant without which she will lose her life in a week. 45 days ago, Sivarthana was affected with jaundice. The villagers always preferred naturopathy, but the medicine caused her to bloat up. They consulted an allopathy doctor in Salem who was concerned about a liver disease as there was fluid accumulation in her belly. He referred the family to Kanchi Kamakoti in Chennai. “We thought her stomach was bloating from indigestion. So, we started feeding her less hoping it would resolve itself. She used to complain of hunger all the time, but we controlled her diet thinking she would get better. Now our daughter is weak and can’t even stand her treatment. At Kanchi Kamakoti, a liver function test revealed that Sivarthana was suffering from Wilson’s disease. Copper accumulation in her liver had damaged the organ. She was immediately admitted to the hospital and started on treatment. Medicines did not help, and within a week, she began to vomit blood. How can we afford lakhs when we make just Rs. 350/day? 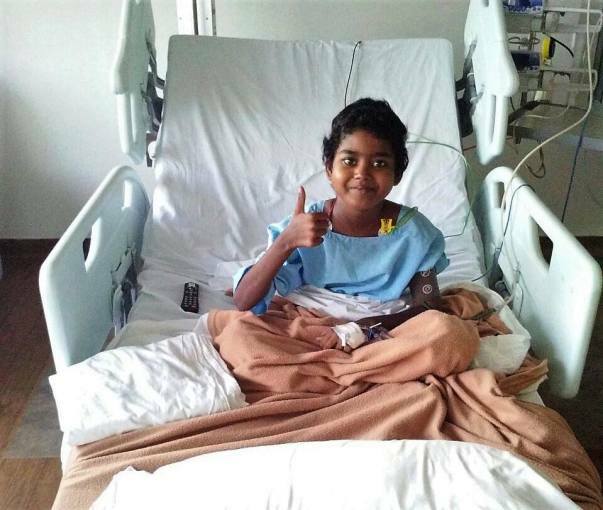 Having lost over a month already, Sivarthana’s condition has gotten worse. She needs a liver transplant within the next week. Her father was found to be the only match, and if the funds are in, she can have the surgery as soon as possible. Sivarthana, being deprived of food for over a month can only think of satisfying her cravings. She is begging her father for sweet corn, dosa, and mother’s sambhar. She does not like Kerala rice and she is afraid she may die without having one last good meal. Ganesh and Ambika, the parents understood their mistake after talking to the doctor. They have been giving Sivarthana all she needs to gain strength for the surgery. Rs. 7.5 Lakhs is the cost estimated for the surgery, and these parents cannot afford it. They were turned away from so many hospitals, and now they just hope for a miracle to save Sivarthana within the week. Your contribution can do more than just save her life. 100% of funds raised will be transferred towards Sivarthana's treatment. Every contribution will be matched to raise funds faster and help this. This fundraiser campaign is supported by The Pravin Agarwal Fund. 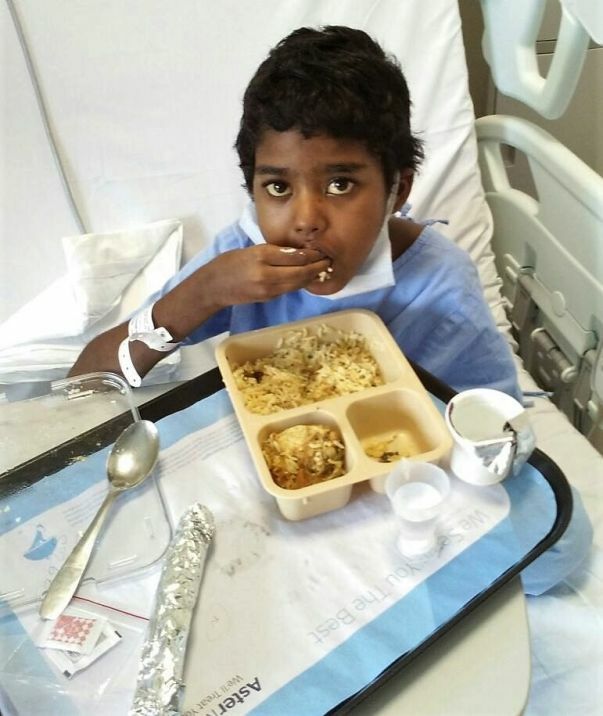 As of now, Sivarthana is doing well. She is even excited to go back to school and waiting for confirmation from the doctors. She will be going for few check-ups so that doctors can deem her fit for going to school. She will also undergo pediatric check-ups monthly and the doctors will keep a check on her weight and to avoid infections. Currently, she's active and under prescribed medication. Doctors will also monitor her immunity and they may decrease the dosage depending on how she responds to the treatment. We sincerely thank each one of you for the love and support which you have shown towards her, My family will always be grateful to each one of you. We have some great news to share with you today. 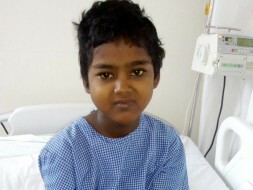 Sivarthana underwent the liver transplant procedure on Wednesday, 13th September. It was a 13-hour surgery and it was a success. The doctors kept her under observation for a few days and she has been shifted to the ward yesterday. Her father donated a part of his liver to her and was discharged yesterday. She was given small proportions of food as the family thought that her stomach was bloating up due to the food. Due to which her sugar levels had fallen drastically which is under control now. The doctors gifted her a colouring book and she drew a liver and gave it to the doctor. The doctor tells her that she can eat anything that she likes. She just cannot digest the fact that she can eat whatever she feels like eating. She always wants to eat, it can be pulao, biryani, parotha's etc. "She cooperates with everyone from the staff and is ready to bear the pain from the treatment to the bitter taste of the medication. She is ready only one condition and that is she should get everything that she feels like eating. I cannot thank all of you enough for helping me in getting my daughter back. She is slowly going back to being the hyperactive kid. Milaap has also helped me a lot in this. ", Ganesh. A big thank you to all of you once again and to Milaap from the bottom of my heart for all the support. I have a humble request, please do pray for her health so we can take her back home as quickly as possible. 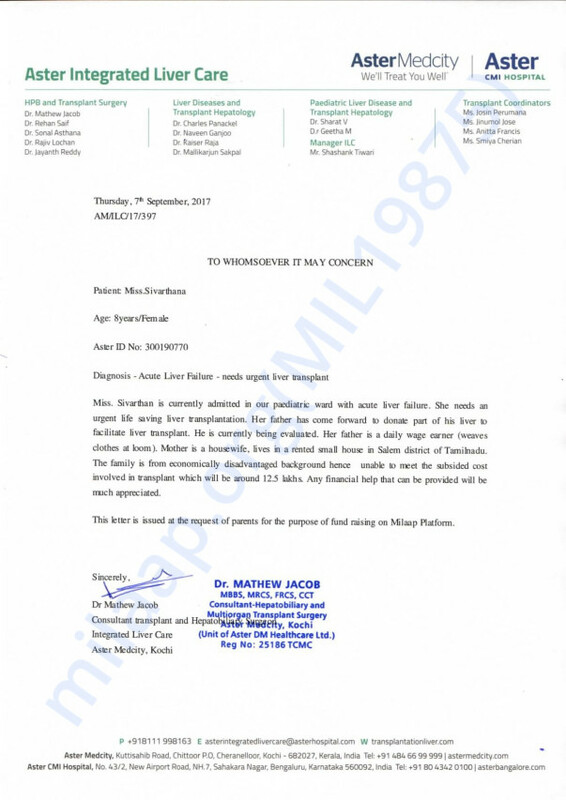 Thank you all for the generous support, given that Sivarthana's was an urgent case that required immediate attention and transplant. The surgery is planned for tomorrow. We hope to raising the remaining amount by then. God bless father and daughter.